To foster its ambitious goal of moving 75 percent of its physician practices from visit- to value-based reimbursement over the next three years, WellPoint has placed a variety of resources at the practices’ disposal. Building on its successes with the patient-centered medical home, a model it has deployed since 2008, WellPoint is transitioning its practices from a fee-for-service world to one that rewards doctors when they improve both the quality and affordability of the care they provide. 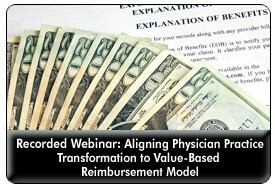 The payment reform starts with a care coordination fee for activities that are not “visit”-based. Once physicians meet an established quality gate, they are eligible to share in any savings achieved. Supports for providers in WellPoint’s 14 markets as they transition to the new payment system are designed to meet the needs of all its practices, explains Julie Schilz, director of care delivery transformation for WellPoint  from small individual practices to large integrated health systems. Resources range from toolkits, Web-based care delivery software and a learning collaborative that offers live and recorded training sessions and virtual “call-in” hours to access to three consultants with distinct areas of expertise. The Provider Clinical Liaison helps practices develop essential care coordination and care management skills, such as developing a care plan, and also acts as the interface between the primary care provider and WellPoint. The Community Collaboration Manager helps providers make sense of reports and data and get on track for transformation, while contributing to learning collaborative content. The Patient-Centered Care Consultant works with practices to boost quality improvement efforts and connect providers to community tools and resources. To maximize a practice’s financial rewards, providers must routinely mine patient data to identify opportunities to improve care. 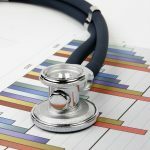 WellPoint’s nine separate reports available to care teams tabulate everything from no-longer-active patients to a practice’s “hot spotters”  patients at risk of readmission or whose chronic illness history turns up glaring care gaps. While primary care practices acclimate to the new payment model, WellPoint is simultaneously participating in Comprehensive Primary Care initiatives in four states, a program whose value-based focus meshes well with WellPoint’s ongoing payment transformation. Calling patient-centered care “the new normal,” Ms. Schilz said WellPoint is also laying the foundation for construction of medical home neighborhoods. Expected to launch in 2014: WellPoint’s first iteration of patient-centered specialty care (PCSC). This limited venture, which encompasses four key areas, will expand care coordination to a few willing specialties: cardiology, endocrinology and OB-GYN. Click here to listen to an interview with Julie Schilz.